How do you fix the Jose Mourinho-Paul Pogba issue at Manchester United? 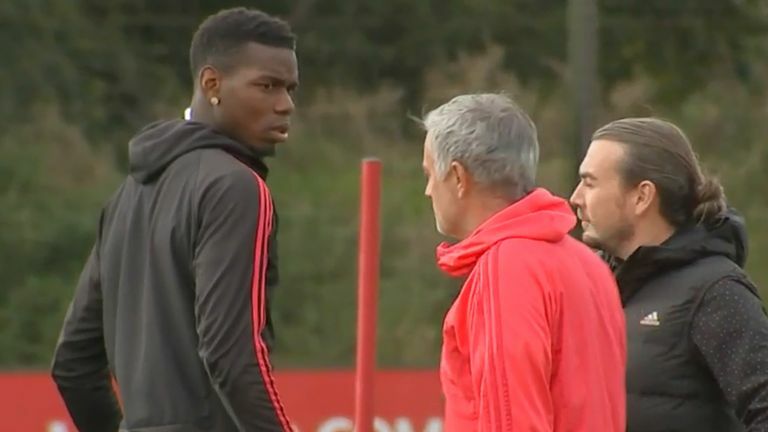 Jose Mourinho and Paul Pogba's strained relationship was laid bare in front of Sky Sports News cameras on Wednesday - but is the problem fixable? 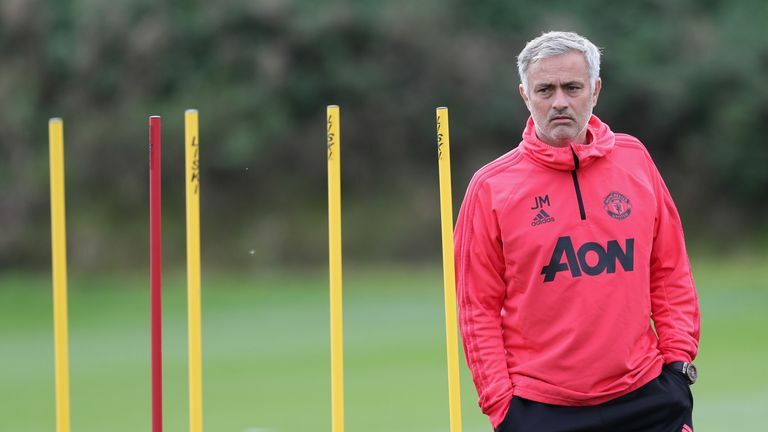 It is not the first player-manager spat at Manchester United, nor any club for that matter, and it is unlikely to be the last - but previous situations have seen big stars leave Old Trafford. Widespread reports claim Pogba does want out for a second time but, with that not possible until at least January 1, the France international and his Portuguese boss must continue to work together. Mido: "Ed Woodward should go to Mino Raiola - he is the only one who can solve this situation. He will always do his best for his players; he always has. In this case, I think Mino would want to solve the situation. He has a very good relationship with Mourinho and with Manchester United. He has got many players into Manchester United in the last couple of years. I think Mino Raiola is the key to solving the Mourinho-Pogba issue." Wyness: "Part of the problem is that two major characters in Sir Alex Ferguson and David Gill left the club and their personality and charisma has not been replaced in terms of the senior management. So I think Ed has got to consider bringing in somebody experienced with a strong personality to assist him on the football side. Also, they are going to have to sell Pogba as soon as possible. You can get a deal done now that could be actioned on January 1 and I would do the deal as soon as possible." Burr: "Ed has to take charge of the situation and quickly because it is spiralling out of control. He has a good relationship with Mourinho and is desperate for him to succeed, but that is appearing to cloud his judgement. He needs to get Mourinho and Pogba in a room together in private, and resolve their differences. If he doesn't broker that meeting and intercede then United's season could unravel." Mido: "It is not easy. The captain always has a role to play if things have not come out in the media but now it is all over the place so the captain cannot do anything about it. It is up to the board and the club." Wyness: "It depends on the relationship between the manager and the captain. I would say he should be a factor. But that is a bit of an old-fashioned, romantic concept; that the captain really has that role any more in a club of this scale." Burr: "Due to his ongoing knee problem, Valencia has featured very little in United's season. Furthermore, he only took over the armband in the summer and is not a natural or vociferous leader of men in the mould of a John Terry, or Steven Gerrard, or Luka Modric. I think if there was a character like that at United now then they would certainly play a part in this dispute." Mido: "Mourinho is fed up, he knows what Pogba is trying to do, and he is trying to protect himself. He has been in these situations before. Maybe Mourinho did it on purpose. The last thing you want your players to do, especially with big personalities in the dressing room, is to go and criticise your tactics and the way the team is playing when things aren't going well for you. That is what Pogba did and it was not a clever thing to do." Wyness: "Mourinho should not be reprimanded. The video is just part of the information that informs you, as the chief executive, as to whether it has broken down completely. But there is no point in picking small issues and reprimanding managers over things like that." Burr: "If the club reprimanded him then it would only exacerbate the situation. My course of action would be to let it pass. Similar to Pogba's ill-timed Instagram post, leave it be, it's done, move on. The club need to deal with what's happening now between their two central characters. That is the main priority." Mido: "Jose has to look back at the mistakes he has made in the past. He is a great manager but now this generation of players is different. You cannot deal with them with the old, classic school of man-to-man management. Now you have to get closer to the players, and watch what you are saying in the media about them because their reaction will never be the same as the older generation." Wyness: "Jose needs to find a mentor. Sir Alex Ferguson certainly would have been a superb sounding board for him. He needs to find somebody he can trust as a mentor and to speak to them." Burr: "It's becoming a recurring theme now with Mourinho. We have seen a similar pattern throughout his recent career in which he tends to lose the dressing room, followed by him leaving the club. If I was his adviser, I would say to him to keep situations like this in-house. Players, staff, and the club as a whole, appreciate that type of man management. History shows us that playing disputes out in the public domain only inflames the situation and consequently drags the circus out even longer. This current dispute is a clear example of that." Mido: "We all saw what Pogba was doing in the dressing room with France before and after the games - that tells you he is a real leader and a real team player. But players like Pogba will never play at their best if they don't feel loved, and he does not feel loved by Mourinho. 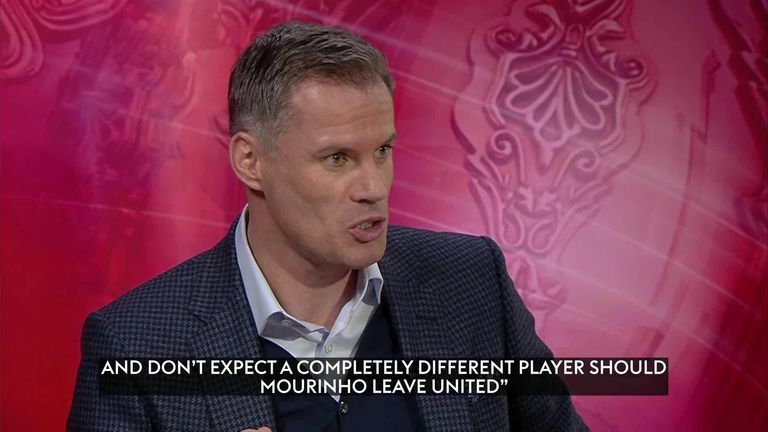 He does not feel Mourinho is on his side. If Pogba does go somewhere else, where he feels more loved, you will see a different player." Wyness: "Pogba needs to train consistently like a professional. He has also got to consider the influence his agent has over him and consider whether he is being used a bit by his agent. Raiola is almost setting the agenda and creating the conflict. We all know Raiola is going to make another fortune out of a move to Barcelona or Juventus, or wherever he ends up going." Burr: "In my experience dealing with high-level sportsmen, you should never try and change their mentality too much. This is what has made them successful. Pogba just needs a manager who believes in him and is a bit more forgiving, even regarding senseless social media posts. All players are guilty of making these errors from time to time."